Calcutta: Nabard has proposed the creation of district level committees and gram panchayat camps to boost Kisan Credit Card offtake and agriculture credit flow to farmers in Bengal. The proposal comes amid concerns over the state falling short of target credit flow to the agriculture sector in the last three consecutive years. The gap between the number of farmers covered under the KCC scheme and the number of cultivators is rising, and so are the number of dormant credit cards. 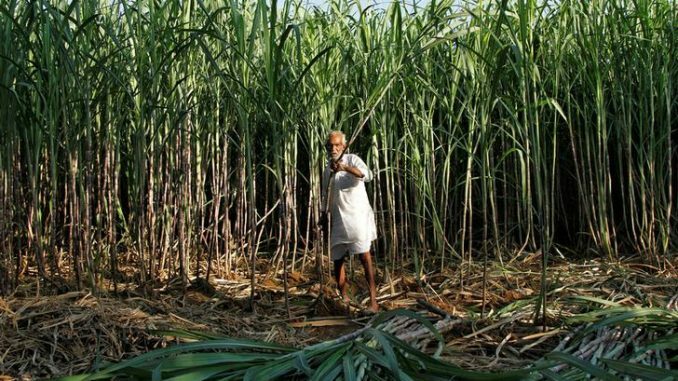 According to data from the State Level Bankers Committee, Bengal could meet 71 per cent of the credit target in agriculture in 2015-16, 65 per cent in 2016-17 and 71 per cent in 2017-18. In comparison, credit flow to the MSME sector was 105 per cent of the target in 2015-16, 112 per cent in 2016-17 and 111 per cent in 2017-18 of the target set for those three years. Nabard officials said the agriculture credit target for 2018-19 have been fixed at Rs 64,071 crore, of which Rs 42,474 crore is towards crop loan and Rs 21,597 crore is towards agriculture term loan. In the last SLBC meeting, held on June 19, 2018, it was revealed that loan disbursement to 19.89 lakh KCC holders was only to the extent of Rs 8,313 crore, which according to Nabard is disconcerting when viewed against crop loan targets fixed for the state for 2018-19. The average KCC loan per card in 2017-18 was Rs 41,795.